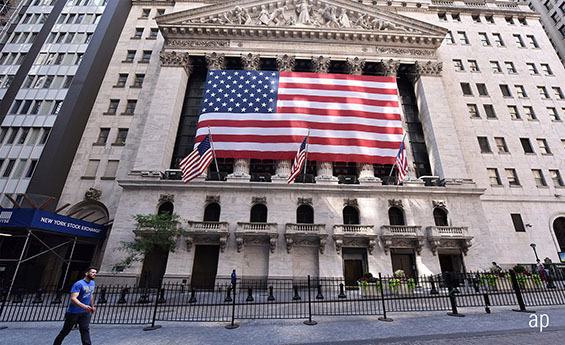 At Morningstar Investment Management, we are fond of reminding investors that the US equity market has enjoyed a bull run that had lasted longer than nine and a half years. For nearly two of those past years, our investment team has cast a wary eye at the US market, uncertain how long the good times might keep rolling. However, our growing voice on the overpriced nature of US stocks may have led to misunderstanding about our views on this unique asset class. So, to address the issue, we'd like to take a step back and consider a broader question: What's the right weighting to US stocks? One downside of weighting by market capitalisation, however, is that it is determined by stock prices. As already discussed, prices can depart from fundamental. Thus, investors' preferences and biases can affect capitalisation. On a global scale, the result has been that economies with well-developed stock markets have attracted more capital, while those with developing markets have attracted less capital. This has been exacerbated by the fact that most cap-weighted global benchmarks count only the "free-float" or traded portions of markets, curbing global weightings to emerging markets like Russia and China. Note that this is tends to be true regardless of valuation, but the effect is greater when these developed markets are overvalued. The result can be significant discrepancies between the size of a country's stock market and the size of its economy. For example, while US stocks claim about 55% of the global universe, the US economy composed just 24% of the 2017 global economy as measured by the World Bank. The US punches well above its weight in this regard, while China, for example, contributed 15% of 2017 global GDP but composed only about 3% of global indexes. The message is clear: developed markets are generally over-represented relative to their economies and emerging markets underrepresented. We don't believe that GDP data represents the best baseline for asset allocation, either, but it does call into question the issue of over- and under-representation. The way we think about it is to view markets holistically, acknowledging what we don't know – embracing fundamental diversification – while maximising the likelihood of meeting and ideally exceeding the objective of a portfolio. It makes sense to look at the entire opportunity set, rather than focus on a singular market. When appropriate, we'd prefer to add niche positions that enhance the reward for risk across a portfolio. If we are limited to open-ended funds, the portfolio may be shaped differently compared to a portfolio that has the flexibility to access nuanced opportunities, for example, via ETFs. That is, we may think the US market is overpriced, but components within it may be far more reasonably priced, such as US healthcare or consumer staples. All else being equal, we should favour the lowest-cost investments. We must always consider the opportunity set on an after-cost basis, which gives major markets like US stocks a subtle advantage. US stocks have enjoyed a steady climb for nearly a decade. Even the recent volatility hasn't brought valuation measures in line with historical norms. This tells us that future returns for US stocks won't likely be nearly as good as they've been since 2009. Therefore, downside risk remains and we must position to protect against a large drawdown. We seek a mix of fundamentally diversified assets as it tends to buffer losses and provide good risk-adjusted rewards for multi-asset investors. We must embrace what we don't know, so holding expensive assets like US equities may be appropriate, although we'd prefer to hold relatively less in these assets. We eagerly – but patiently – await a time when US equity prices appear more attractive to us. This has not yet happened, despite the recent falls. Until such time, we'll continue to favour areas that are more likely to help us meet our objectives. However, evading US stocks altogether can also be a mistake, depending on the objective, especially if we have the ability to take more granular positions in a portfolio – for example, investing via US healthcare or consumer staples. Ultimately, deciding on the right weighting for stocks is complex, depending on the objective we're seeking to achieve. Does an Economic Downturn Impact Markets?